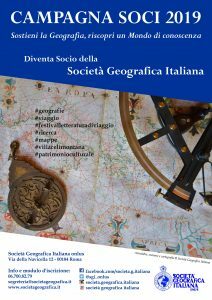 The historical archive keeps and preserves the memory of the activities by the Italian Geographical Society since its foundation. It contains valuable documentation on the history of the Institute and on its relationships with geographers, explorers, travelers and scientists. Among those who upheld the name of the Society, whose historical documents are preserved in the archive, we can list Orazio Antinori, Giacomo Bove, Ermanno Stradelli, Vittorio Bottego, Umberto Nobile, Giotto Dainelli, Filippo de Filippi. The Historical archive is composed of separate sections in order to keep the unity of the several components. 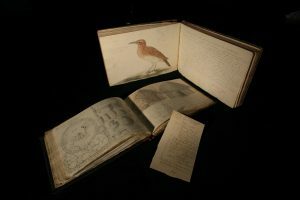 Among the sections, it is worth mentioning the documents from the Society’s Presidencies, Explorers’ reports with their scientific results of their experiences, proceedings of geographical congresses, foreign reports, notebooks, sketches, drawings. Among the most important sections, the following two should be highlighted: Giotto Dainelli section; Elio Migliorini section. The Historical Archive is participating with the most important cultural institutions and foundations in Italy, to the program “Archivi del Novecento – la memoria in rete” and to the program “Archivi on line del Senato della Repubblica”. For consulting the Archive’s sources, along with other 14 institutions adhering to the Archivi del Novecento program, the Society has chosen the archival application “Collective Access”. The Historical Archives of the Adhering institutions will be included in the new thematic portal of the SAN (Sistema Archivistico Nazionale) of the Direzione Generale degli Archivi. For a better service, it is recommended to contact the Archive in advance. Personnel is available to offer assistance in the research and consultation of sources.